The King has responded, and he's ready to race. 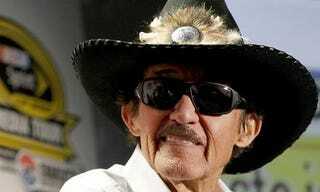 Richard Petty said on Friday that he will accept Tony Stewart's challenge to race Danica Patrick. After Petty made some remarks about Patrick, alluding to a lack of driving talent, Stewart levied the challenge. And on Friday, Petty said he was game. "I'm 76 years old, OK?" Petty said on the Fox New Channel's Fox and Friends. "It's been 25 years since I've been in a race car. But I'll take that challenge." The hosts of the show even nailed him to it, saying "Really? You're going to do it, Richard." And Petty doubled down. "Oh yeah," he said. "When is this going to happen?"